Our goal was simple: we wanted to change the face of the British paintball industry. Well, 28 years later we can well and truly say we’ve changed the face of the industry. Not just in England, but worldwide. We wanted to make the sport more professional, safer and more enjoyable for people of any skill level. Customer service had to be a priority, and safety had to be paramount. 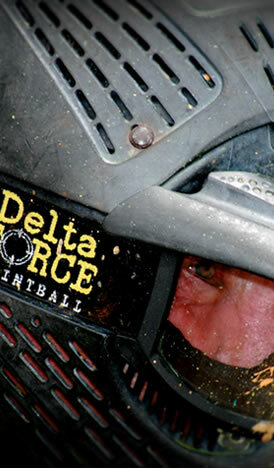 We are proud to say that Delta Force Paintball has revolutionised the sport with our incredible game zones and high quality equipment, and are now recognised as an industry leader – a position we aren’t letting go of any time soon. So we started with our neighbours, Wales and Scotland. We kept growing, with the love of paintball increasing across the UK, and then into Australia, New Zealand and now Canada! We now have locations in 10 countries on 3 continents. 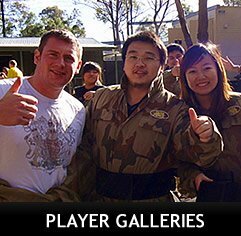 Delta Force Paintball now has paintball centres in Australia, New Zealand, Canada, The UK, and Europe (Sweden and Norway). We are the world’s largest operator of paintball games, an achievement we are proud of. We have used our knowledge, experience and world-class facilities to successfully improve the paintball experience for millions of people around the globe. You don’t need a reason to come paintballing, but if you had to organise a buck’s or hen’s party, birthday celebration, corporate function, or just a group of friends getting together, you should come and play with the world leader in paintball games. It’ll be a day you’ll never forget, we promise. We love what we do – and that is clear for everyone to see. It is our goal to promise you the very best paintball experience imaginable – in terms of quality, safety, value and enjoyment. With over 25 years experience, and over 1000 professionals working in the business, we have what it takes to make your day amazing. Want to know more about our Newcastle location?